Sometimes, just sometimes, life is very good indeed. 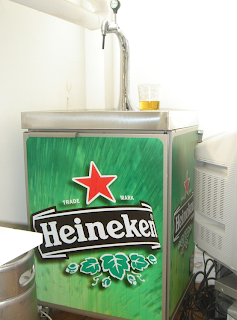 Like right now looking at this beer pump, given to us by our wonderful clients at Heineken. It is probably our most treasured possession. After the ping pong table that is. And the magical biscuit tin which seems to fill up over night. It's a thing of rare beauty.